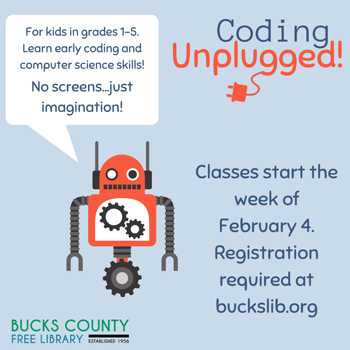 Take a look at our online calendar to see when Unplugged Coding will be offered at your branch. Online registration is required. Join us for fun activities like creating art bots, which help teach kids about circuits and computational thinking. Make binary jewelry to learn about binary code. Play card games to learn about conditionals. Make pixel art with a friend to learn how computers think. Discover Ozobots and how to code them to learn about algorithms. Each week of this six-week program features stand-alone activities, so kids don’t have to attend every session (although they’ll want to!). Previous Post: Music is Fun for Everyone!